Scottish craft brewery BrewDog is working hard to expand its reach beyond beer enthusiasts drawn to taxidermy squirrels. A couple of weeks ago, it won over the animal-lover crowd by announcing “paw-ternity leave,” probably the world’s first week of paid time off to employees who get a new puppy or rescue dog. And now comes the news that it’s also planning what it calls the “first crowdfunded craft beer hotel,” which has been dubbed the DogHouse. 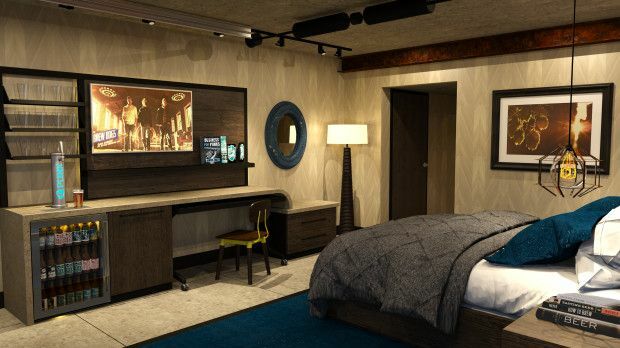 The plan is to situate it next to BrewDog’s new taproom and sour-beer brewery in Columbus, Ohio, so guests can pair their stay with a facility tour, much like what Dogfish Head offers at its boutique hotel in Delaware — only BrewDog has included a few upgrades. It claims the hotel “will have it all,” assuming you’re obsessed with craft beer — you’ll wake up “to a view of our sour beer foeders and the smell of freshly mashed malt,” and can mosey down for a beer breakfast, then just camp out in the room and make liberal use of your own private IPA tap. Everything you need during your stay, crammed into a desk corner. 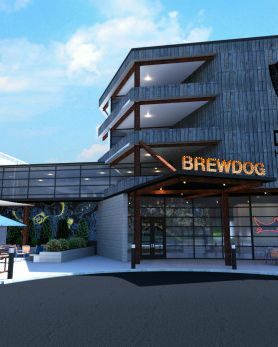 BrewDog expects the entire complex will cost about $6 million, and the plan is to have the hotel operational by late 2018. People who chip in at least $150 on Indiegogo get a free night’s stay.